A space station is a spacecraft capable of supporting crewmembers, which is designed to remain in space (most commonly as an artificial satellite in low Earth orbit) for an extended period of time and for other spacecraft to dock. 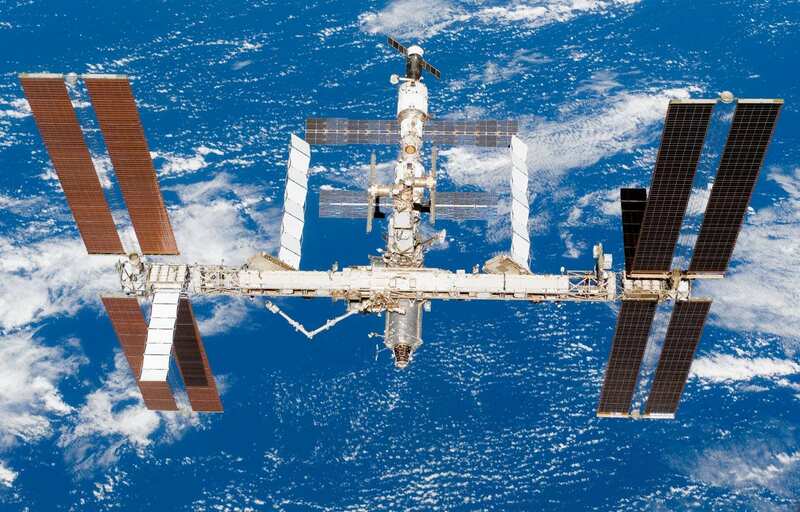 Today’s space stations are research platforms, used to study the effects of long-term space flight on the human body as well as to provide platforms for greater number and length of scientific studies and future exploration. Saylut 1 was launched by the Soviet Union on April 19th 1971, and was the first manned station placed in low Earth orbit. Announced to the public as a research station, Saylut 1’s purpose was to test internal systems in space and conduct scientific experiments. This included the astrophysical Orion 1 Space Observatory which was the first telescope to be operated by man outside of the Earth’s atmosphere. Saylut 1 comprised of several compartments, of which three were pressurised and two designed for crew habitation. Whilst the station set many records for the Soviet propaganda machine, the successes were shortlived when the crew died on re-entry due to a failed pressure valve on their Soyuz 22 capsule. All missions to space were subsequently suspended whilst the Soyuz capsule was redesigned. Without active missions to deliver fuel and vital supplies, Saylut 1 was abandoned and de-orbited 6 months later. Saylut 2 was launched in 1973 as a military reconnaissance station and was part of a secretive project designated Almaz. Within two weeks of launch, the station lost altitude control and depressurised, leaving it unstable and powerless. The orbit rapidly decayed and Saylut 2 re-entered the atmosphere on 28 May 1973. 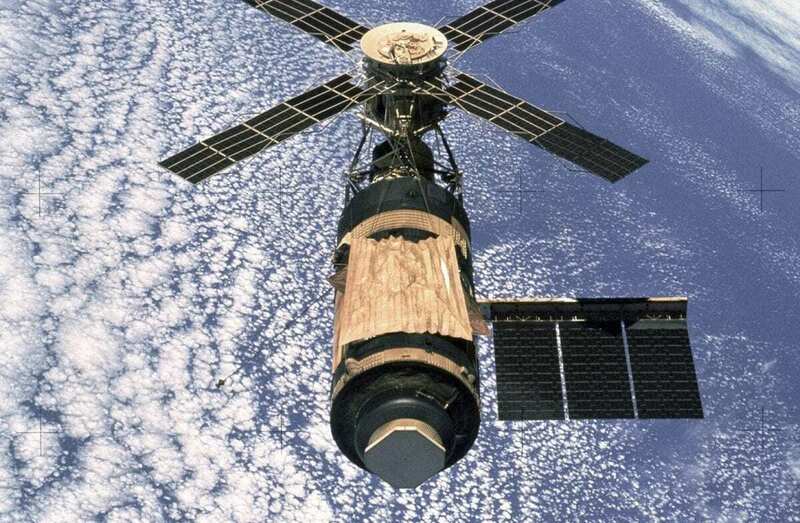 Skylab was the United States’ first space station that orbited the Earth from 1973 to 1979. The station was equipped with a solar observatory (Apollo Telescope Mount), workshop and scientific equipment for conducting experiments in space. Launched on the retiring Saturn V rocket, the station saw three manned expeditions between 1973 and 1974. Thousands of photographs of Earth were taken, and the Earth Resources Experiment Package (EREP) viewed Earth with sensors that recorded data in the visible, infrared, and microwave spectral regions. Plans to reuse Skylab for further space missions were delayed and eventually scrapped due to the development of the Space Shuttle Program. On July 11th 1979, Skylab was de-orbited and fell back to Earth amid huge worldwide media attention. Saylut 3 was another Almaz military station that was launched on the 25 June 1974. Only one of the three intended Soviet crews managed to dock and board the station, where tests were conducted with an onboard autocannon and reconnaissance sensors. The stationed was de-orbited in January that following year. Salyut 4 was a return to scientific research and was launched on the 26th December 1974. 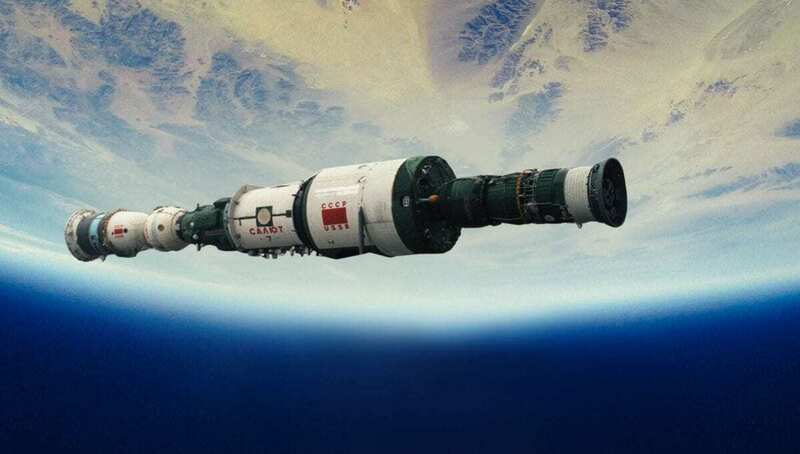 Although the station was essentially a duplication of the Saylut 3, Saylut 4 remained in orbit until 1977 and proved the long-term durability of a station in Earth’s orbit. Saylut 5 was launched on 22 June 1976. It was the third Almaz military space station placed in orbit. Following its launch, Soviet military leaders decided that with the advent of more sophisticated spy satellites, the tactical advantages were not worth the expense of the project and withdrew from the Saylut program. Saylut 5 was de-orbited in August 1977. Salyut 6 was visited by 16 manned spacecraft between 1977 and 1981. The very first long-duration crew on Salyut 6 broke the record for the longest continuous space habitation staying 96 days in orbit. Salyut 6 also hosted the first Cuban citizen and the first person from a country in the Western Hemisphere other than the United States and the Soviet Union to travel into Earth orbit. Salyut 7 was launched in April 1982 where it remained in orbit for eight years and ten months, during which time it was visited by ten manned spacecraft bringing six long-duration crews and 4 short-term crews that included French and Indian cosmonauts. 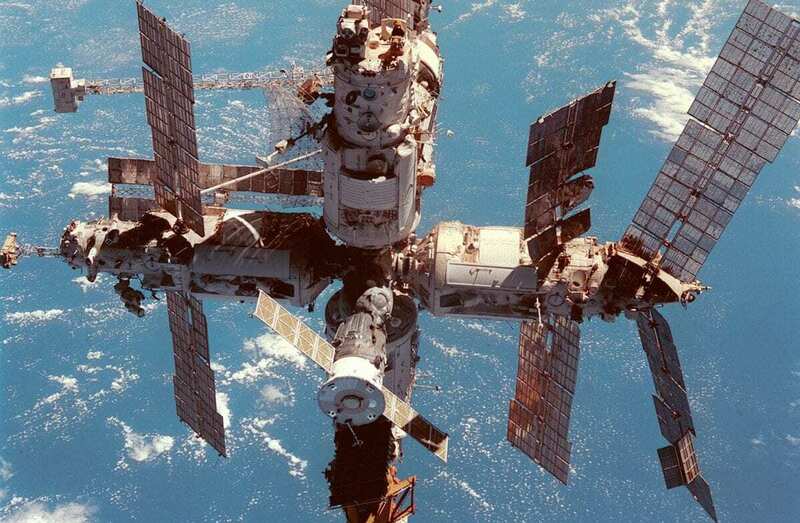 On February 12th 1985, all contact was lost with the station during an unmanned period. A crippling electrical fault caused all onboard systems to shut down and the station began to drift from orbit. Salyut 7 remained in orbit till 1991, concluding the Salyut space station program. Mir was a low orbit station that began operation under the Soviet Union in 1986, until 2001 where it was later operated by Russia after the Soviet Union’s collapse. 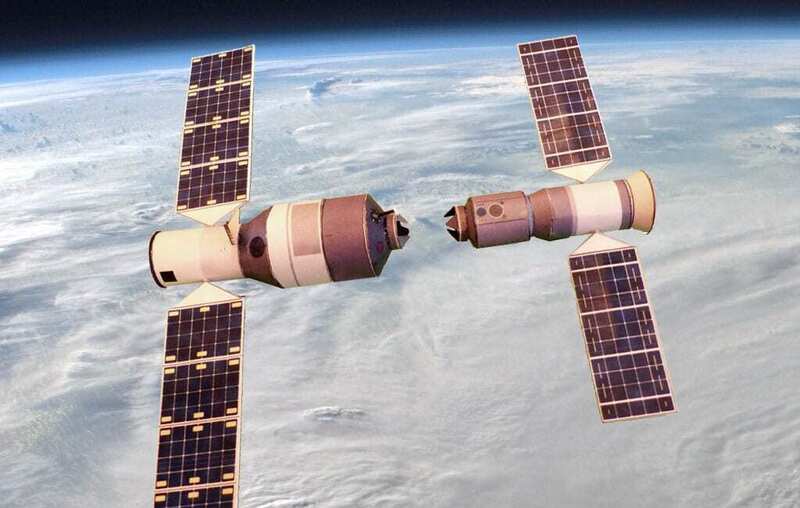 Mir was the first modular station, assembled in orbit in a feat that took almost a decade to complete. The station served as a scientific microgravity research laboratory with experiments conducted in the pursuit of biology, physics, astronomy and meteorology. It holds the record for the longest single human spaceflight, with Valeri Polyakov spending 437 days and 18 hours on the station between 1994 and 1995. Several accidents occurred in the station’s lifespan which threatened the station’s safety, such as the glancing collision between Kristall and Soyuz TM-17 during proximity operations in January 1994. Through international collaborations such as the Intercosmos, Euromir and Shuttle–Mir programmes, the station was made accessible to several Asian, European and North American nations. Due to lack of funding and the spiralling repair costs of its ageing systems, Mir was de-orbited in a three-stage process on 23rd March 2001. The ISS is a modular space station with the first module launch taking place in 1998, and the final component completed in 2011. The Station is an international collaboration between NASA, Roscosmos, JAXA, ESA, and CSA, with the main station sections being the Russian Orbital Segment (ROS) and the US Orbital Segment (USOS). Launched as a research platform in microgravity, experiments have been conducted in the fields of biology, human biology, physics, astronomy, meteorology, and other disciplines. 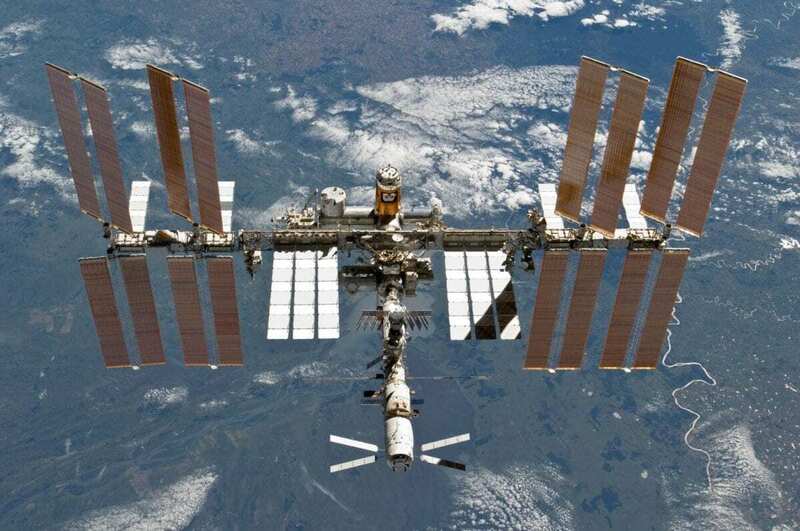 The station has been continuously occupied for 17 years and 190 days since the arrival of Expedition 1 on 2 November 2000, with plans to continue funding for the station’s operations until 2025. Genesis-1 was launched in 2006 by the private American firm Bigelow Aerospace and is an experimental space habitat to test the long-term viability of inflatable structures in space. Although the design life of the spacecraft avionics was only six months, the avionics systems worked flawlessly for “over two and a half years” before failure. The orbital life was originally estimated to be 12 years, but to date, the station remains in a slow decaying orbit. Genesis-2 is the second space habit mission by Bigelow Aerospace, launched in 2007 to continue the mission of Genesis-1. Genesis 2 was “retired” when its avionics systems stopped working after two and a half years. It remains in orbit, allowing researchers to continue testing the long-term viability of expandable space structures. Tiangon 1 is China’s first space station, translated to literally mean: “Heavenly Palace 1” or “Celestial Palace 1”. The station was launched in 2011 as both a manned laboratory and an experimental testbed to demonstrate orbital rendezvous and docking capabilities during its two years of active operational life. In 2016, the China Manned Space Office announced a conclusion to the life of the station after the telemetry link with Tiangon-1 was lost. The station remained in a decaying orbit until 2018, where atmospheric re-entry occurred over the southern Pacific Ocean northwest of Tahiti. Tiangon-2 is part of the Chinese Project 921-2 space station program, where China is investigating the technical requirements of a large modular space station planned for launch between 2019 and 2022. Tiangong-2’s crew have also been conducting a number of scientific and technical experiments on the physiological effects of weightlessness and tests on human-machine collaboration on in-orbit maintenance technology.